OhMyVera! 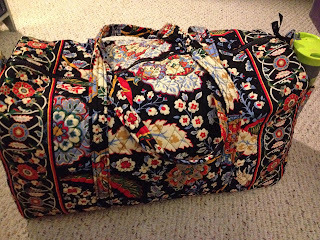 A blog about all things Vera Bradley: Weekend Trip! This weekend I am traveling to meet up with some friends for a girls weekend. I am so excited to get away for the weekend and see friends that I havent seen since July! I bought a Versailles Large Duffel a while back when they were on sale. It is my only Large Duffel and I decided this would be a great weekend to use it! I am flying on an airline that will charge to check a bag, so I am going to use it as my carry on. And here it is all packed up and ready to go! Do you have a favorite bag for weekend trips? 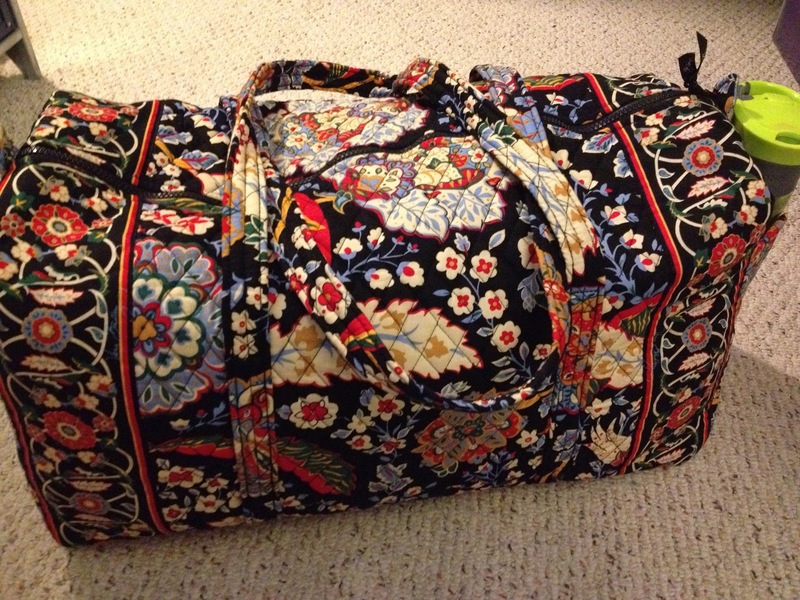 I have the large duffel in Daisy Daisy. I use it all the time! I love how much stuff it holds! Question that I have for you Alison, when going on a trip how do you decide what Vera items to take? I have over 300 vera bradley items and I can never decide. I always end up taking my cupcakes green and cupcakes pink as I have just about every item made in them, but I have so many other cute odds and ends as well. Do you ladies like to mix and match. I have yet to do that. Any issues with the large duffel being too big for the overhead bin?